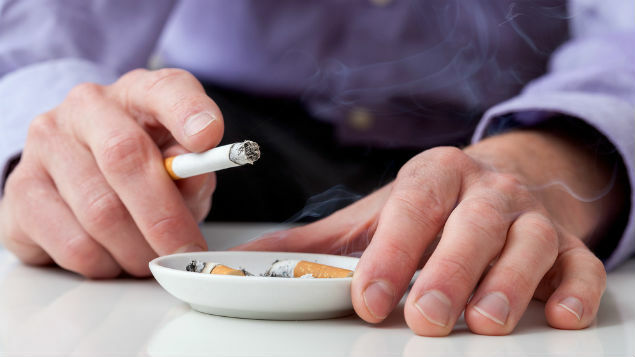 This month’s round up of occupational health research includes a study on the impact of smoking on muscular and cardiorespiratory endurance performance and the use of employee assistance programmes in the workplace. Army trainees who smoke have lower muscular and cardiorespiratory endurance performance than non-smokers, according to this study of the effect of smoking status on physical fitness during initial British Army infantry training. However, in an unexpected finding, smoking status does not appear to affect the rate at which trainees improve their fitness over the course of military training. For example, run performance improved by 7% in non-smokers and 8% in smokers, and sit up performance by 15% and 18% respectively, albeit from different baselines. Siddall AG et al. “Smoking status and physical fitness during initial military training”. 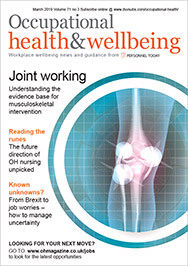 Occupational Medicine, published online 15 February 2017. A woman’s occupation and working pattern may affect her fertility, according to this study of female patients of a fertility clinic. For example, those working non-daytime shifts had fewer mature oocytes (cells in an ovary that may undergo meiotic division to form an ovum) retrieved during the IVF process than women working day shifts only, and those who reported lifting or moving heavy objects at work had fewer oocytes retrieved than women who did not. The inverse association between lifting and oocyte yield was stronger in older women and those with a relatively high body mass index. Minguez-Alarcon L et al. “Occupational factors and markers of ovarian reserve and response among women at a fertility centre”. Occupational & Environmental Medicine, published online 6 February 2017. Eighty per cent of US employers offer an employee assistance programme (EAP) to staff, according to benchmarking research covering 832 companies carried out by HR association WorldatWork. A similar proportion of employers in the survey also operate a behavioural health plan, while 70% run immunisation clinics and promotions. More innovative wellbeing initiatives are gaining a foothold, the research suggests: 27% of all employers now offer employees wearable technology to encourage healthy behaviours; and almost 40% use “gamification” in wellbeing programmes (for example, online contests, quizzes and avatars). Subsidised weight-loss programmes are run by 26% of all firms and almost 60% provide incentives (for example, cash and non-cash prizes) for employees reaching health improvement targets. “Inventory of total rewards programs and practices”, WorldatWork. Information held by employers on employees, such as their marital status and age, can be collated to identify those people at risk of taking frequent and/or long-term sickness absence in the future. This study of an airline company shows that long-term sickness absence was predicted by a combination of higher age, recent pregnancy, having “aggravated working conditions” and, bizarrely, “having a company parking permit”. The likelihood of an employee taking frequent bouts of short-term absence was predicted by being single, not having children of 16 years and older, no shift work and having a job with “special operational requirements”. In both short- and long-term absence, previous sickness absence was, not surprisingly, also a predictor of future absence. 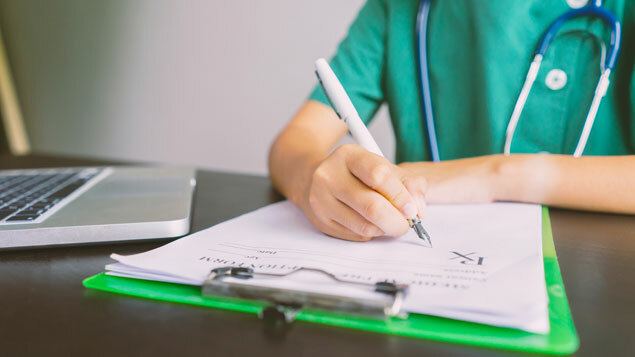 However, the researchers suggest additional factors need to be identified to better predict absence risk, as the explained variance in their study was relatively low. Boot CRL et al. “Prediction of long-term and frequent sickness absence using company data”. Occupational Medicine, published online 16 February 2017. Work characteristics can affect whether or not an employee with depression will to return to work and how long it takes, according to this study of 883 Dutch employees who had been off sick for at least 13 weeks. Workplace factors such as low decision authority, high psychological demands, low supervisor support and low expectation of rehabilitation all lengthened the time it took an individual to fully return to work. The authors conclude that a “focus on these elements in the selection or development of interventions may be helpful in preventing sickness absence, and in supporting long-term sick-listed employees towards full return to work”. “Work characteristics and return to work in long-term sick-listed employees with depressive symptoms”. Journal of Occupational Rehabilitation, published online 28 January 2017. People living with HIV, particularly those between the age of 40 and 54, have a significantly lower level of employment compared with the general population, according to this Dutch study. Other factors negatively associated with employment for people in this group include a longer period since original diagnosis, problems with physical functioning and a high number of symptoms of depression. The authors conclude that “counselling should address reduced psychological and physical functioning to improve the position of people living with HIV in the labour market”. Wagener MN et al. “Determinants of employment in people living with HIV in the Netherlands”. Journal of Occupational Rehabilitation, published online 3 February 2017. Offering employees incentives for reaching certain health improvement targets does not appear to increase participation in wellbeing programmes, or the health of individuals taking part in them (for example, blood pressure or body mass measures), this US study suggests. Barleen NS et al. “Outcome-based and participation-based wellness incentives: impacts on program participation and achievement of health improvement targets”. Journal of Occupational & Environmental Medicine, published online 31 January 2017. People who have been exposed to biocides at work have an increased risk of thyroid cancer and the risk is higher for those with cumulative exposure, according to this study of 462 cancer cases and 498 controls in Connecticut. No significant association was observed for occupational exposure to pesticides. The authors conclude that “our study provides the first evidence linking occupational exposure to biocides and risk of thyroid cancer”. Zeng F et al. “Occupational exposure to pesticides and other biocides and risk of thyroid cancer”. Occupational & Environmental Medicine, published online 15 February 2017. A high-quality workplace meal service can improve employees’ motivation and job performance significantly, according to this study of Turkish security workers. Turen T et al. “The effects of perceived quality of organisationally provided meal service on employees’ job performance and mediating role organisational identification”. Journal of Workplace Behavioural Health, published online 10 February 2017.